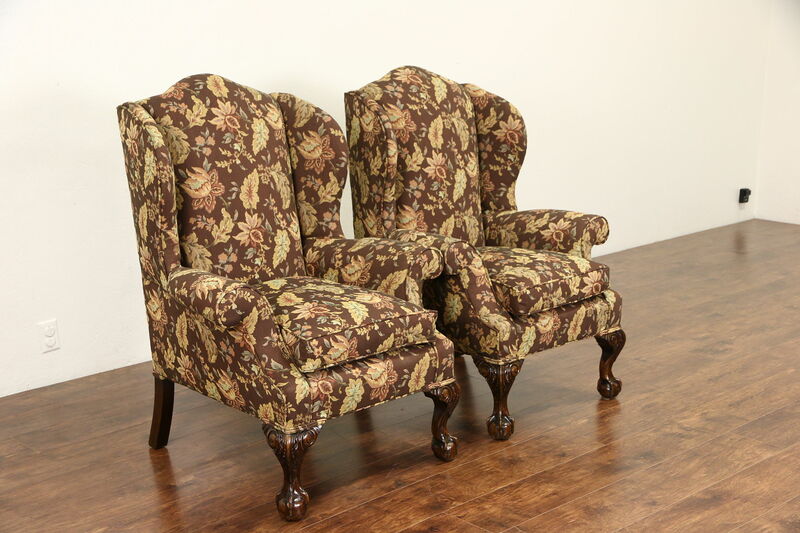 A pair of traditional Georgian design wing chairs has been newly upholstered. About 40 years old, this American vintage furniture has tight and strong solid mahogany frames with classic carved claw and ball feet. The finish is in very fine condition with a few touchups. Soft down filled cushions are zippered for easy cleaning on these large armchairs. Size is 34" wide, 32" deep, 46" tall, seats are 20" high and 20" deep.